THE TRUTH ABOUT PHARMACEUTICAL DRUGS! THANKS TO GEOFFREY WEST, JOURNALIST/ANCHOR OF COSMIC VISION NEWS, FOR DEDICATING A SEGMENT OF HIS SHOW TO THE DANGERS OF PRESCRIPTION DRUGS! These are excellent videos that anyone taking—or giving to your children/loved one—any kind of prescription medicine needs to hear! LISTEN TO THE ENTIRE APRIL 17, 2015 COSMIC VISION NEWS SHOW! 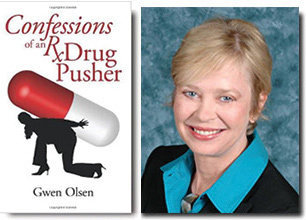 Filed under: Cosmic Vision News, Geoffrey West, Gwen Olsen, Pharmaceuticals |	Comments Off on THE TRUTH ABOUT PHARMACEUTICAL DRUGS!